We’re finding ways to help us all stay connected. What are you doing up here? The Daily Connects post are down below. Have fun. Wait! 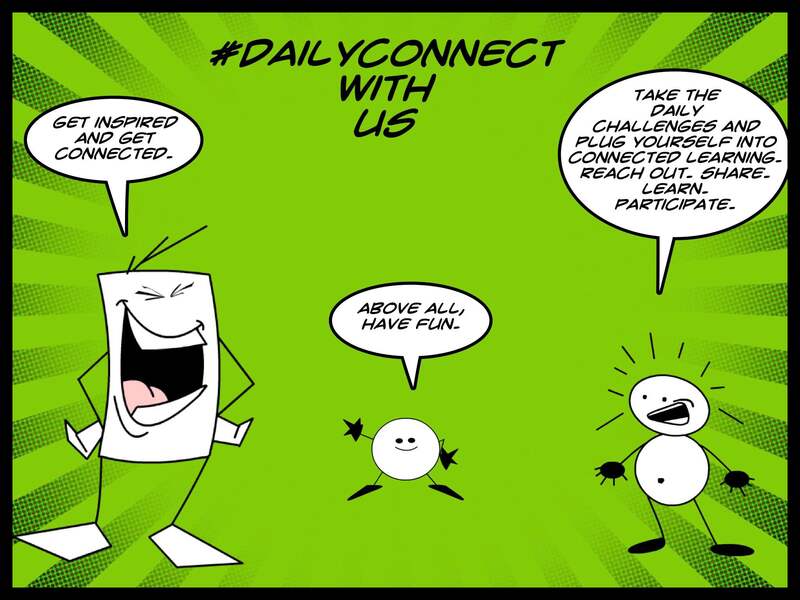 Do you still have an idea for the Daily Connect? Use this form to submit your own. You can also now view all of the idea submissions (some we used; some we didn’t), so feel free to steal/remix/adapt/share. This whole thing has been one huge collaborative, connected experience and we appreciate your help and collaboration. The Daily Connect is inspired by the DS106 Daily Create, and was first part of the Connected Courses network and is now part of the Connected Learning (CLMOOC) adventure. We adapt. For this Connected Writing Activity — which is taking place rather randomly as a test of something new, so pardon the odd nature of the post — we are testing out Greg’s idea for IndieWeb syndication across blogs. He has a “sub” set up for poetry at IndieWeb, so let’s try that. for no rules may apply.